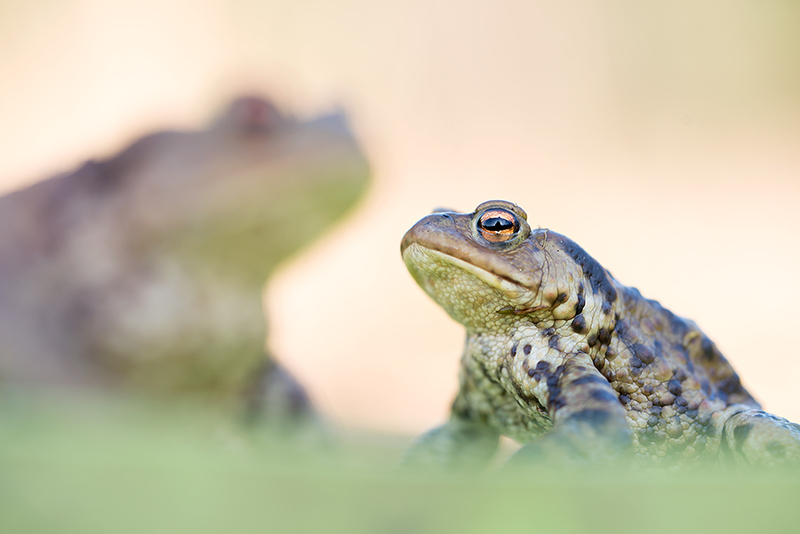 I did not realize that the Common Toad could cause me so much fun. It was only when I was more or less forced photographing them, by lack of the presence of the Moor Frog which was my initial photographic goal, that I discovered their beauty. Normally I am not so fond of photographing in the middle of the day, with the sun shining bright and giving me no opportunities to get my subject in the shadow. Still, when you’re out there, you’ve got to do something. 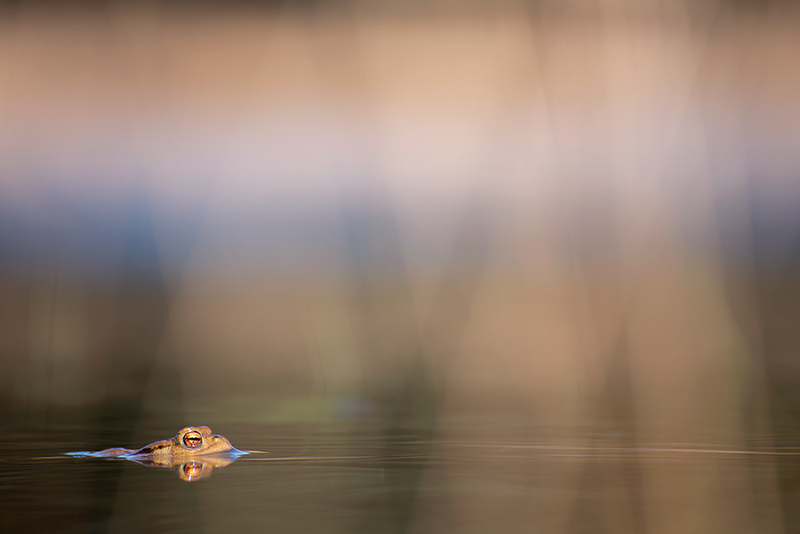 So I took a chance and crawled on the shore with my viewfinder and telelens, attempting to shoot this Common Toad with the sun behind me. This way there were no disturbing shades on the little amphibian. And then I am always looking for something to fill the foreground. Some reed came in handy! The Common Toads were not only busy in the water for breeding purposes. Some of them had the job done already and were getting out of the water, to continue their lifes on land again. Ideal situations to take completely other pictures. And then finally there was this one Toad which posed for me in my favorite evening light. 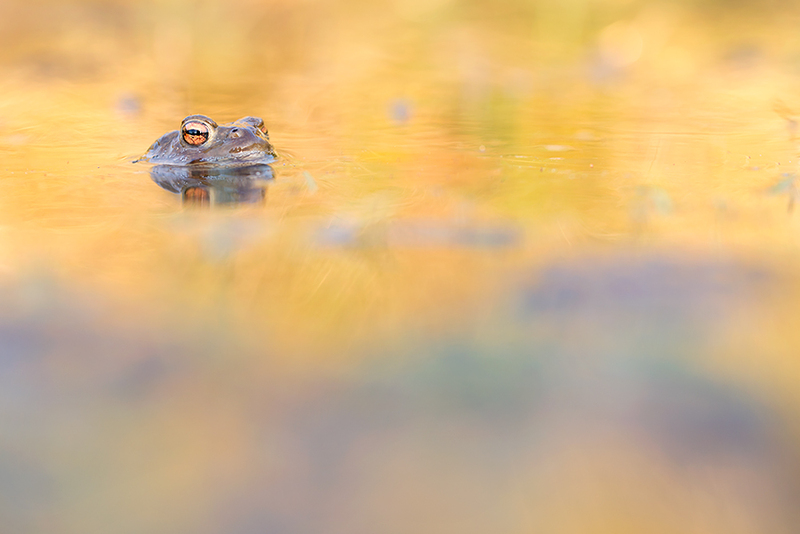 In contrast to earlier that day when his fellow Common Toads were a little bit shy, he just sat there and let me come close. What a joy!